Double click the Add New on Get-Out-The-Vote as seen below to add a new transaction. Add the date, amount and description of the expenditure. 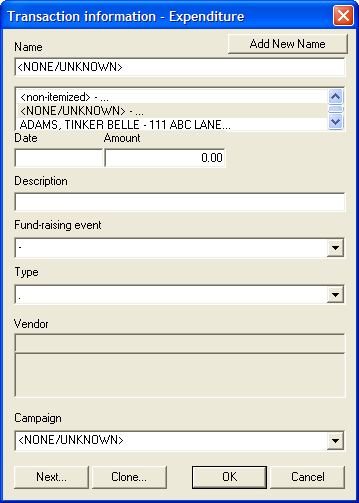 If the expenditure was spent for a fund raising event held by your committee click the Fund Raising Event drop down to select the appropriate event. 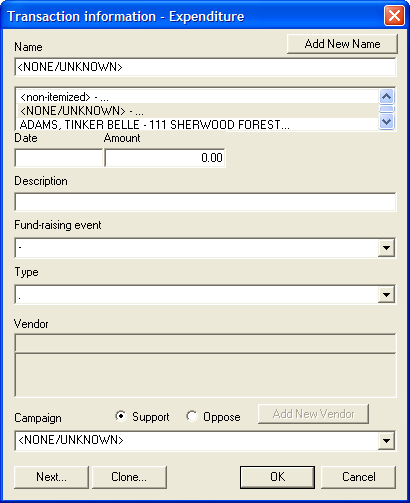 Select Type and if applicable select Vendor. To Delete an existing transaction open the All Transaction tab and locate the desired record. Right click and choose delete. 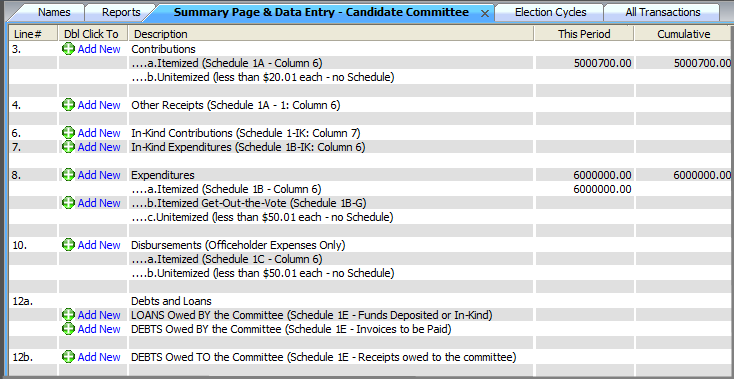 Please note the transactions within a closed report/campaign statement cannot be deleted. To remove a transaction from a previously filed report, select ‘De-Report’ to remove the the transaction from the amended report/campaign statement. The original transaction will continue to show in the ‘All Transactions’ tab as a shaded item.